Every successful negotiation is about the resolution of a conflict between 2 parts, a difference between the initial positions/offers on each side that can be solved creatively. 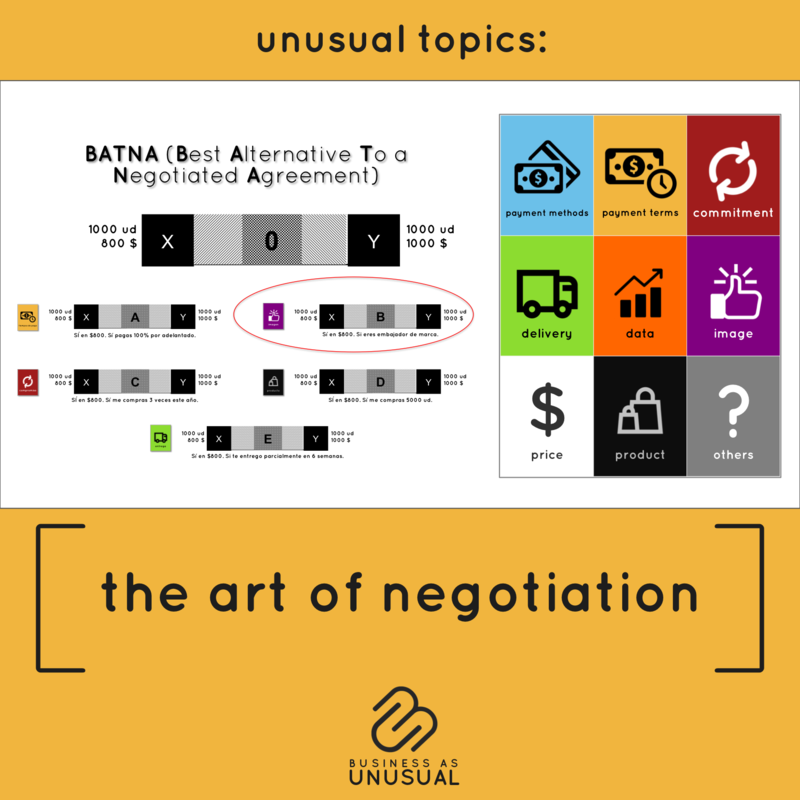 We have transformed the famous methodology called BATNA into a cards game to help your teams think outside the box. Directed to: management team, sales, procurement, entrepreneurs and everyone in need of negotiation skills.